If you intend on visiting Port Denison and trying to find somewhere to stay, you'll have a small selection of hotels to choose from. Pick any of the 5 within 5 kilometres of the city's heart. 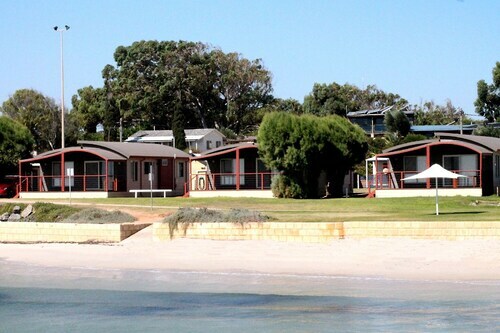 You must take a look at the Dongara Hotel Motel and Seaspray Beach Holiday Park. All these hotels are near the main areas. If you dream about golf, arrange a few rounds at Dongara Golf Club. If you're trying to find a room close by, consider BIG4 Dongara Denison Beach Holiday Park and Priory Resort Hotel. They're sure to impress! Don't panic if you find yourself still searching for somewhere to set up camp in Port Denison. Try the Dongara Tourist Park, 2 kilometres away from the city's heart. Once you have spent time in Port Denison, why don't you tour a little more of the region? The Coral Coast region has many other things to offer visitors. Enjoy Coral Coast's beaches and cliffs. You should also head to the area's nature museums. More active types might also go hiking. The nearby localities of Tarcoola Beach and Geraldton are definitely worth going to. Tarcoola Beach is 60 kilometres to the northwest of Port Denison, while Geraldton is 65 kilometres to the northwest. 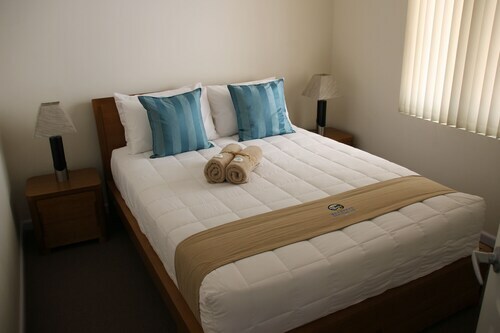 Tarcoola Beach hotels are the Mantra Geraldton and Best Western Hospitality Inn Geraldton. Geraldton choices include the Ocean Centre Hotel and ibis Styles Geraldton. At Wotif, we live, breathe, eat and sleep travel! So when you're ready to hit the road to Port Denison, we'd be honoured to take you there. How Much is a Hotel Room in Port Denison? Hotels in Port Denison start at AU$109 per night. Prices and availability subject to change. Additional terms may apply.